For the second straight year, New York's attempts to administer computer-based standardized tests for English language arts assessments have been affected by problems. This year, that has meant postponing some tests. Now state officials say they will fix the problems before going forward with a plan to require all schools to use computers for the tests. New York State postponed computer-based testing in ELA scheduled for Wednesday after technical problems Tuesday left some students unable to log into the system or submit the tests. Others were kicked off the system. In a conference call with reporters late Wednesday, State Education Commissioner MaryEllen Elia said computer-based testing would resume Thursday and Friday for grades five and eight. The problem came when the database server for the testing vendor, Questar Assessments, ran out of free memory, due to a high frequency of transactions, Elia said. "Make no mistake, Questar will be held accountable," she said. "There is no excuse for the difficulties experienced by the schools administering the computer-based testing." No students will be asked to retake the testing session, Elia said. Questar staff has been working to fix the issue, according to a statement from its chief operating officer, Brad Baumgartner. 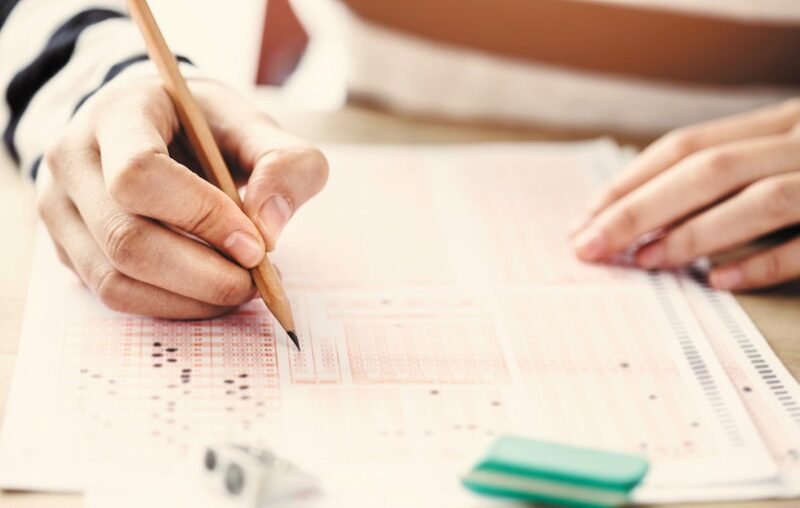 “Questar Assessment Inc. is committed to the students, teachers and school districts of New York State, and we take our responsibility to provide accurate and insightful testing results seriously,” he said. The state is staggering computer-based testing to certain grades to limit the number of students accessing the system at the same time. This is the second year there have been problems with the computer-based assessments. About 25 percent, or 1,100 schools, in the state are using computers for the tests this year, according to the state. The problems led some school officials to wonder what impact that would have on the state's plan to have all schools using computers for the tests by 2020. Elia said the state never made that specific promise, but that was the impression at least some administrators had. That goal also has been listed on the department's website including as recent as Wednesday morning. After a Buffalo News reporter asked about that statement, it was removed from the website. "Every time we have an issue like this, certainly that changes our projection for when we want to do this. We have to make sure that as we move forward, those decisions are made based on our experiences with this, and clearly we've got some issues we've got to clear up," Elia said. She said at the department's insistence, Questar's parent company, ETS, and Microsoft Professional Services, independently reviewed Questar's diagnosis, analysis and action plan. The extra cost for that, as well as any others connected with the problem, will be not be paid by the state, she said. Schools that already have completed computer testing in fifth and eighth grades may test another grade Thursday and Friday. On Thursday, the state will announce the testing plan for next week. Any schools that want to revert to paper-based tests will be able to, Elia said. About 1.1 million students are eligible to take the ELA and math tests, and of them, 93,100 started computer-based tests on Tuesday. Most of those students, 86,500, or 93 percent, successfully finished and submitted their tests Tuesday, according to Elia. Questar has a five-year, $44.8 million contract to conduct the third- through eighth-grade math and ELA assessments, both on paper and computer. The contract expires next year, she said. After experiencing problems Tuesday, schools were waiting for further instructions on Wednesday. As of 1:45 p.m. Wednesday, several administrators said they had received no guidance from the state on whether the tests were on or off for Thursday. After the computer glitches Tuesday, the state Education Department came under fire from teachers and parents who have concerns over the tests, and even from superintendents. The New York State Council of School Superintendents, which has supported moving to computer-based testing, called the problems unacceptable. "Done right, adaptive testing holds the promise of reducing testing time for students and providing better and faster results for families, teachers, and schools from these tests required by federal law," the council said in a statement. “But the problems schools have encountered this year and last lead us to doubt that the state’s current testing vendor, Questar Assessment, can ever produce acceptable results." New York State United Teachers maintains the tests are flawed, and started a campaign this week to "Correct the tests," and urges parents and teachers to submit comments to its website. “Not only should Questar be held accountable for this debacle, the state must be as well,” the union said in as statement. The union tweeted several comments it received from teachers and parents about the problems: "I had a little girl work for almost 70 minutes on her questions. When submitting her test, the system kicked her out. She was made to RE-DO her entire test." Elia said she does not want to downplay the problems with the tests this year, but that students will be using technology in the future. "In the big picture, this is the 21st century," Elia said. "Using computers and technology as they move forward in their life is going to become a reality for them."